All of our kitchen decorations are unique and one of a kind. 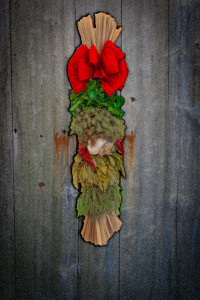 Where appropriate we use ribbon or cornhusk bows. Please Note: Gift boxes pictured below are available at Events only. 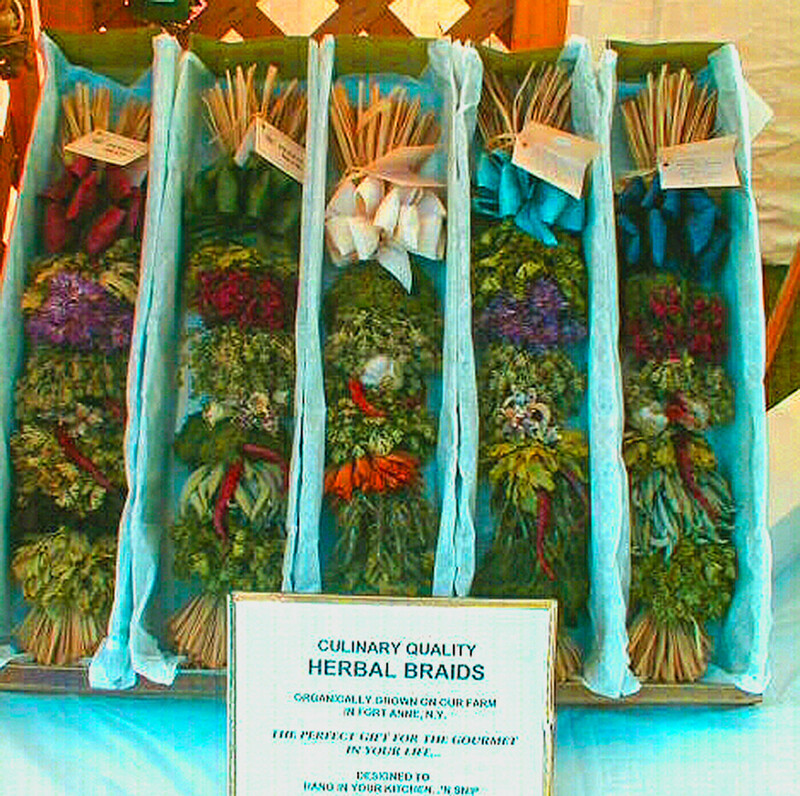 Our Herbal Braids are organically grown and hand woven at the farm. 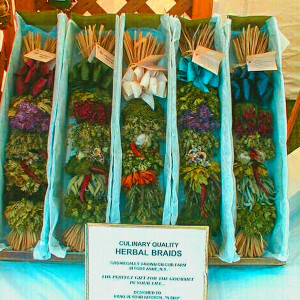 Shown here is the "Large" Braid (6 bundles of herbs) with assorted bow colors. and spices on a raffia base. Designed to be hung in the kitchen. 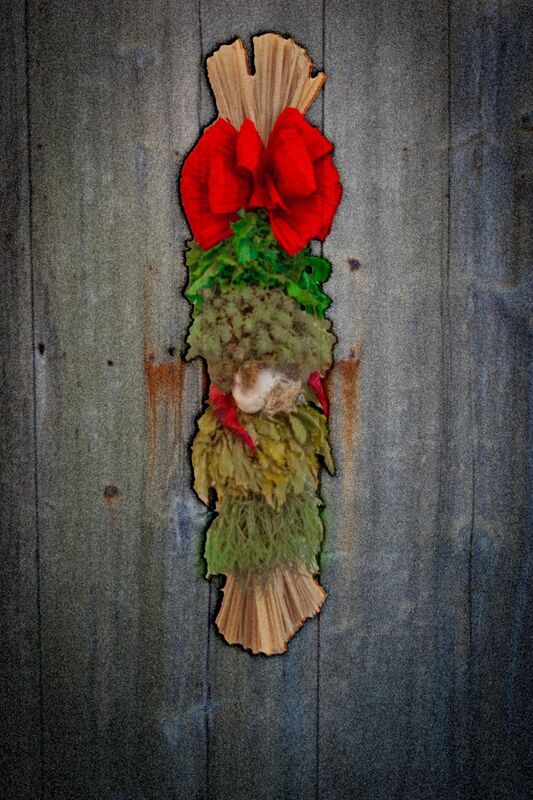 Materials (as available) include: Sage, Rosemary, Dill, Oregano, Thyme, Lemon Thyme, Basil, Garlic, Shallots, Chilies, Parsley, Lovage, Celery Leaf, Marjoram, Assorted Edible Blossoms. All herbs, garlic and chilies on our braids are grown organically and harvested right here on the farm. seasonally from current year's harvest. Everything on our Herbal Braids is organically grown in our gardens.